Born in Honduras in 1934 and raised in Belize, Derek Webster moved to the United States in 1964 after having traveled the Caribbean and Africa for years, working on ships. He settled in Chicago where he eventually managed to buy this small house on the outskirts of the city. 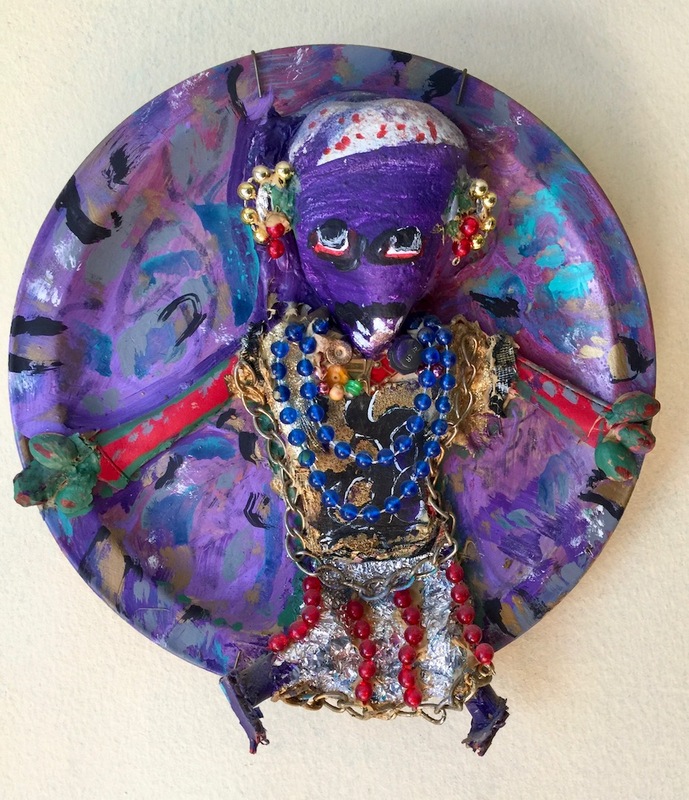 In order to distinguish it from neighboring houses, he began building a fence of colorful figures reminiscent of West Indian Carnival dancers, many of them black, made of wood, custom jewelry, broken watches and found materials collected in Chicago’s back alleys. His janitorial job at a hospital provided him with colorful objects like bottles and caps, and the wood he needed was driftwood from the shores of Lake Michigan where Webster loved to fish. 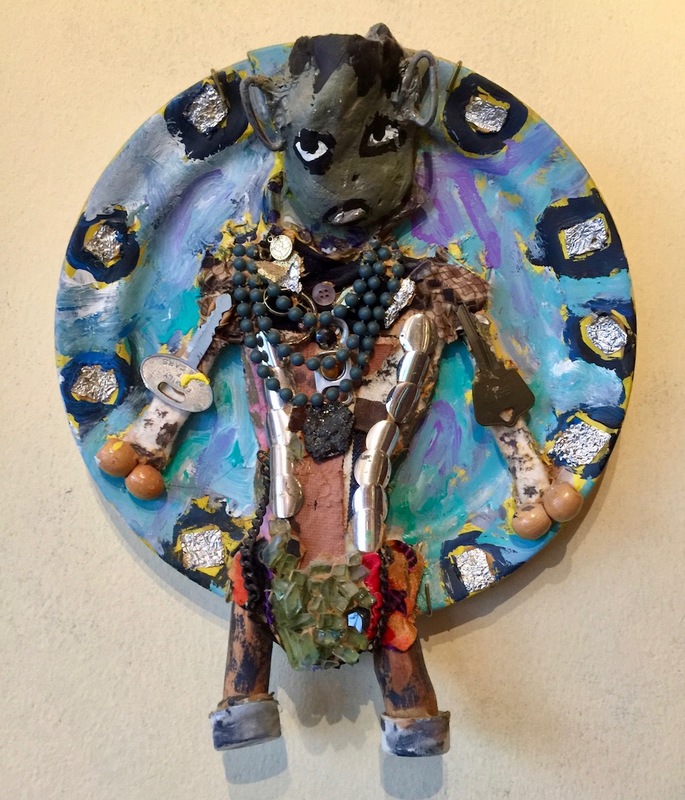 From embellishing his fence he turned to making individual figures and fantastic assemblages often inspired by his memories of Belize and the Caribbean. 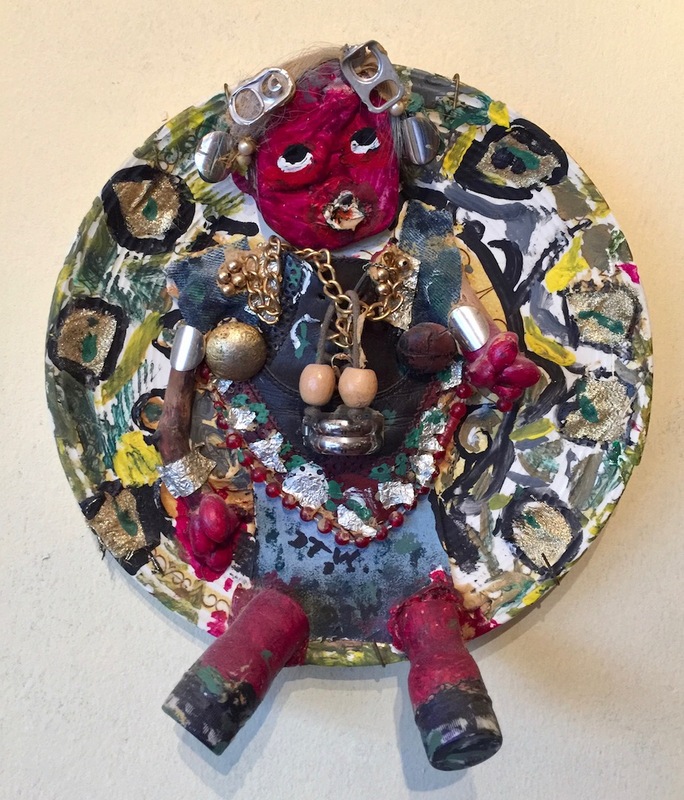 Born in Honduras and living in Chicago until his death in 2009, African-American artist Derek Webster used found objects and discarded materials to create complex assemblages recalling Caribbean carnival figures. For more, please read our blog post Encountering an Extraordinary Caribbean Artist in Chicago on this website.